This post has THREE refashions. I could have broken them up into multiple posts but the photos all link them together so here they are all together. First up – McCalls 5523 from an old moth eaten skirt. Amongst other things, I found a vintage wool skirt that my great aunt made for my great-great aunt in the 1980’s using fabric that was recycled from a much earlier project so I think I can assume this fabric is at least as old as I am, Mum thinks its at least 50 years old. 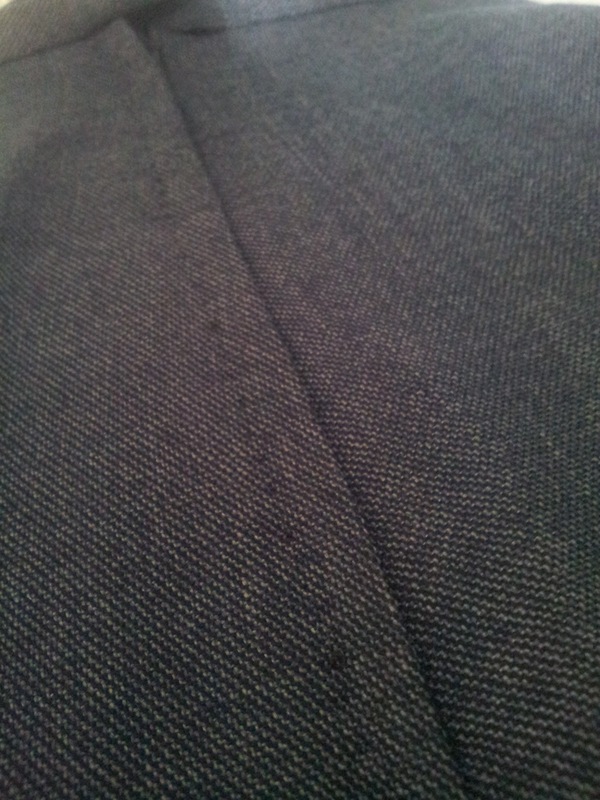 The quality of the fabric is just gorgeous but it had been eaten in many places by moths. Because of sentimental reasons, mum had never got rid of it and I was very happy to take it to see if I could maybe do something with it. Before. Lapped zipper, moth holes and skirt facing. I unpicked this skirt quite reverently, it has so much family history. Once my great-great aunt passed away in the 1980’s my mother inherited it and wore for years until it no longer fit and it was stored away. 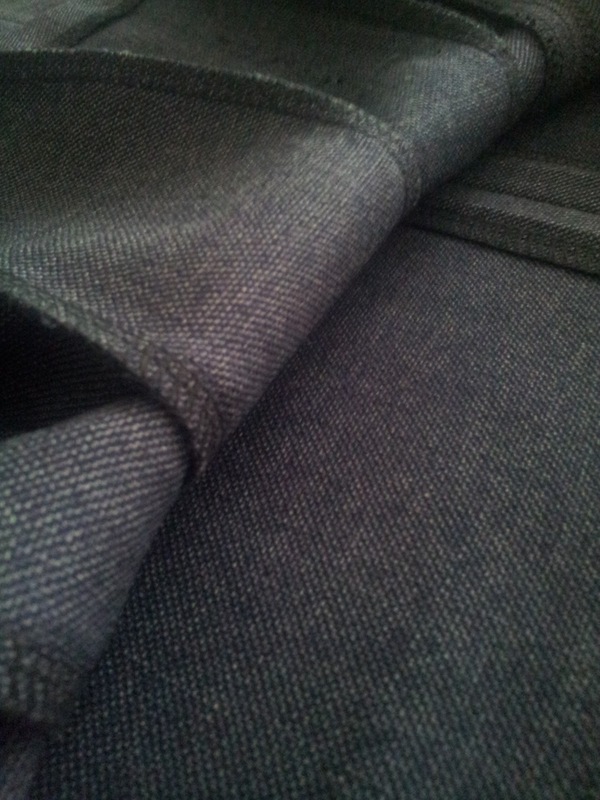 Once unpicked and washed I was amazed at how beautifully the fabric came up. I used McCalls 5523 View B and had some fun placing the pattern pieces around the moth holes. For the back pleat I had to cut it out of scraps and one piece is cut slightly off grain and another is cross-grain, but even I can’t tell now that it is made up. Despite all that, I’m very happy with how this looks. It still sits very nicely. Worlds smallest waistband. No fabric for facings so I pieced together from a 1″ sliver, but I love it. And ta-da!! 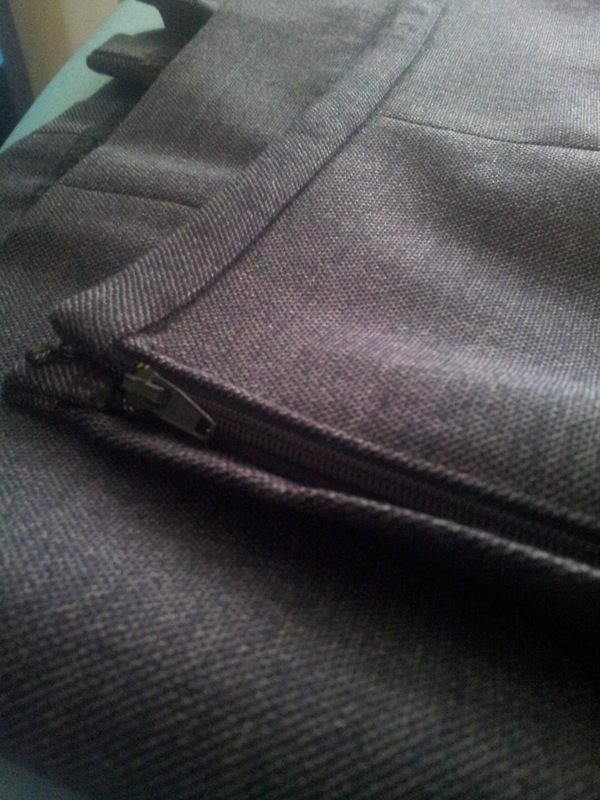 My very first hand picked zipper. My stitches could be more even but I’m happy with it as a first attempt. I wish I could show my grandmother. I really love McCalls 5523. I have already cut out another version and plan to make every variation. 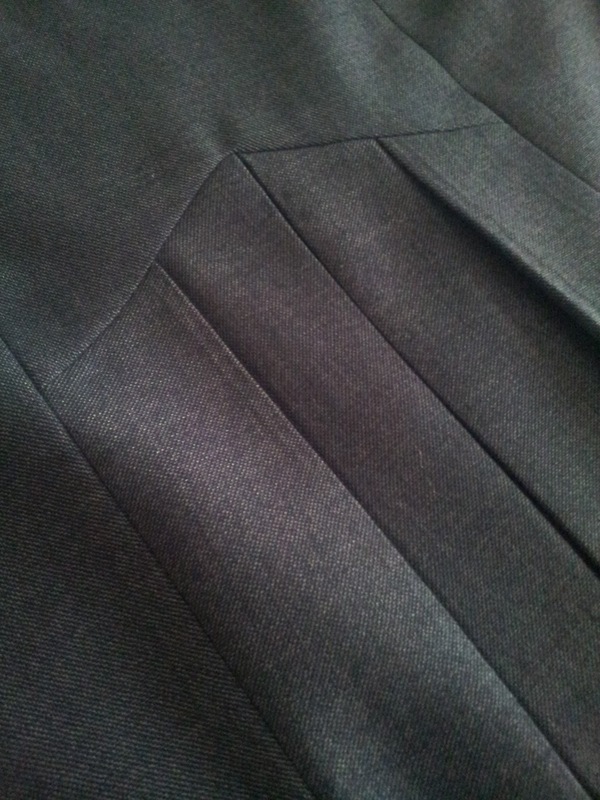 It is so easy to get a lovely fit with the princess seams. 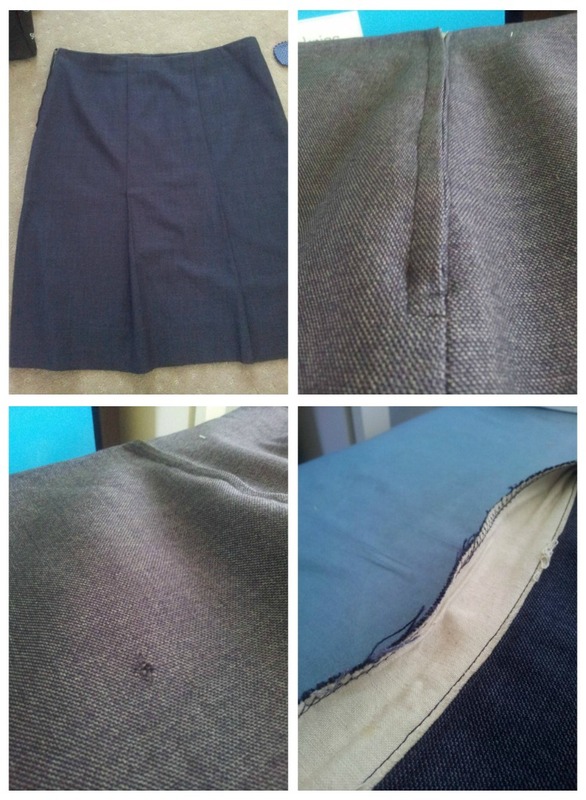 I pegged my skirt in at the hem an extra 1/2″ each seam all round as otherwise it was looking a bit boxy for my liking, but that is such an easy adjustment. I really recommend this pattern for a classic pencil with a lovely interesting feature at the back. 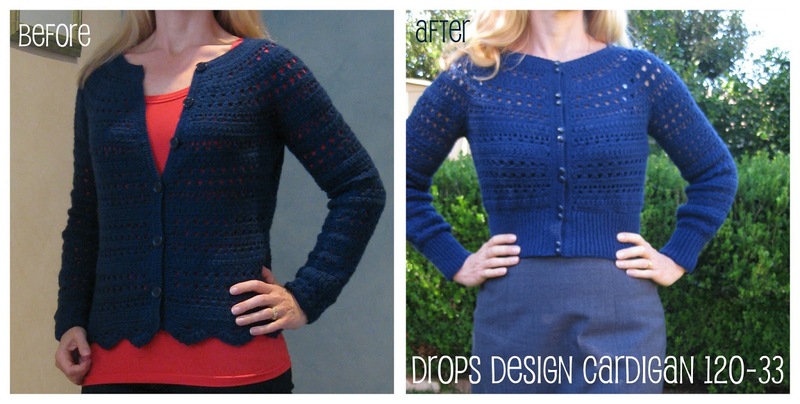 Next up – A crochet cardigan redo. You may notice in this post my crochet cardigan I am wearing. This is a redo from a cardigan I made last year but have never worn as the sleeves were way too tight and I also didn’t really like the bottom part. I will blog later on this week about how I made the changes and the crochet ribbing to give a knitted effect. But here is a quick look at the before/after. Nothing really wrong with the before, other than it just wasn’t me and the super tight sleeves were soooo uncomfortable to wear. 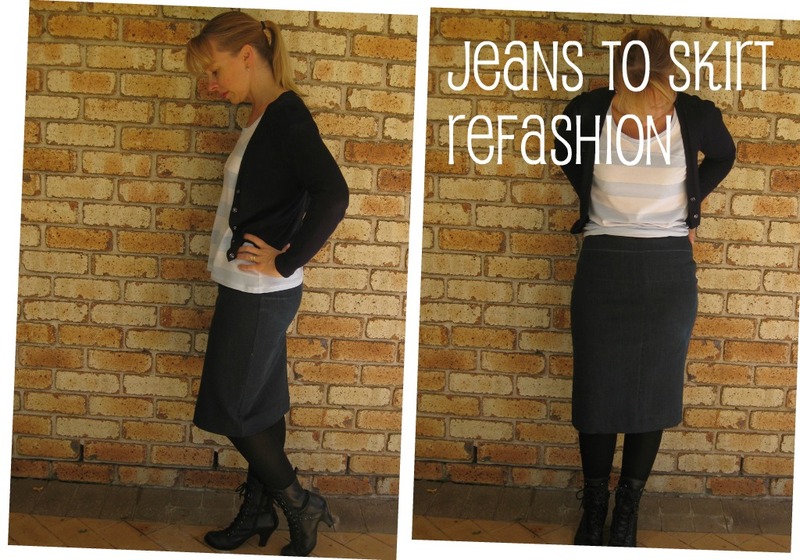 While I was at it I also turned an unworn pair of jeans that were several sizes too big for me into a simple pencil skirt. I used Simplicity 9825 as a base and made it probably 4 sizes smaller than my normal size to accomodate the stretch because I didn’t have enough width in the fabric to make it bigger but I got away with it as the denim is super stretchy. The yoke pieces I used to make a facing instead of a yoke. 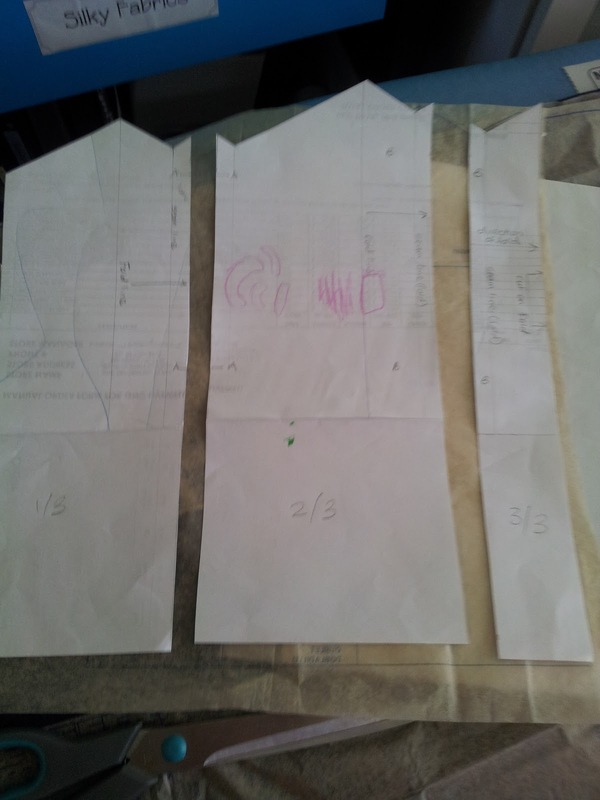 I harvested the material by cutting all the seams off the jeans and then squared everything off so I had four rectangles on grain – 2 front legs, 2 back. I didn’t use the top part of the jeans as the sizing was so large I would have had to completely remake to get it to fit plus the stretch element made the top waistband and fly front zip sit weirdly (which is why mum never really worn them – it sat really strange around the waistband). But I am happy with the very simple streamlined look. 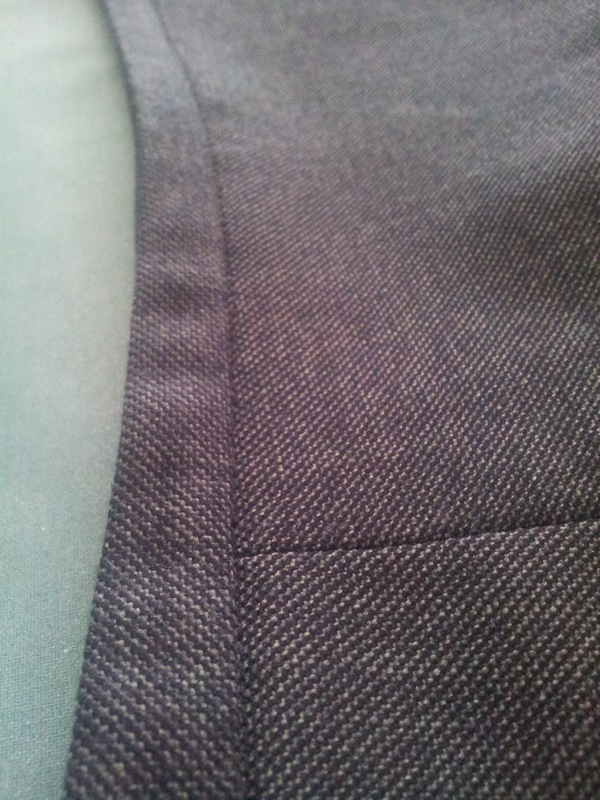 I made it all on the serger to maximize the stretch factor. Not much more so say on that. Its just another wearable basic. Next up is the 1980’s polka dot dress refashion. 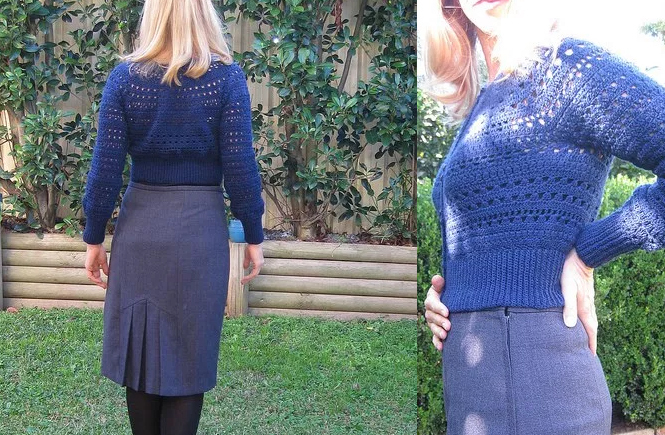 I’ve already made the pencil skirt and I am THRILLED TO BITS about how it is turning out.